What began as an online DVDs sales and rental company has, to this day, transformed into the biggest worldwide online streaming service, accomplishing the staggering amount of US$11.69 billion in revenues last year. 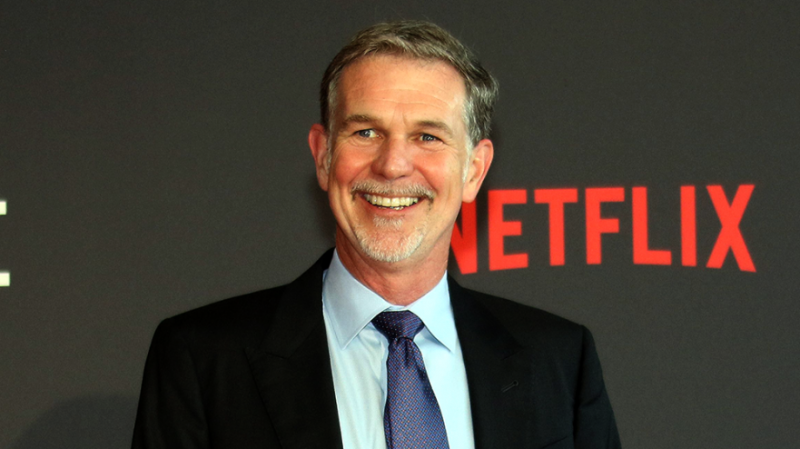 Netflix started out in 1997, as the brainchild of cofounders Reed Hastings and Marc Radolph, after the former sold Pure Software (a debugging tool for engineers founded by Reed Hastings in 1991), and thus obtained the capital to jumpstart the company. Netflix’s first logo, used from 1998 to 2000. Netflix logo used from 2000 to 2014. Allegedly triggered by a $40 fine that Hastings was charged with for an overdue rental, and motivated by Radolph’s interest in the e-commerce business, i.e. items sold on the internet, Netflix was launched in 1998, with roughly 925 titles (by that time, almost the entire catalogue of DVDs ever printed), using a pay-per-title rental online model, in which DVDs were shipped by mail, a most convenient exchange, in which clients didn’t even have to leave their houses, making the process even more comfortable. Then, in 1999 Netflix introduced the monthly subscription concept: Unlimited rentals for a single monthly rate, without due dates, late fees, shipping and handling fees, or per title rental fees. By the time 2005 arrived, there were 35,000 movies available and over 1,000,000 DVDs were shipped every day. In 2000 Netflix included another new and innovative feature, the video recommendation system, which personalizes each user’s movie catalog based on reviews and ratings made by other users with similar tastes. It very quickly became one the most popular features of the service, so much so, that 6 years later, in 2006, the company offered a $1,000,000 price to the first developer that could outperform the existing algorithm regarding its video-recommendation system. DVD rental envelope ready for shipping. Looking for other ways to further the company’s growth and success, in 2007 Netflix ventures into the fledgling industry of on-demand video streaming service that allows users to stream T.V. shows and movies on personal computers or in any device that supports Netflix’s platform. “We want to be ready when video-on-demand happens. 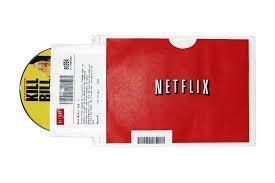 That’s why the company is Netflix, not DVD-by-mail”, Hastings said. This turnabout in the company’s model for providing its services proved to be a very wise decision, in such a scale that by 2010, Netflix had already reached over 16 million subscribers. Popular opinion is that Netflix owed this enormous success rate to yet another new feature in its repertoire, and by far the most popular, which grants users the possibility to “binge watch” or stream continuously any of the TV shows provided, with just a pause of roughly 15 seconds between episodes, making a whole TV show’s season available at once, allowing people to watch the content of their preference at their own pace, without having to follow daily or weekly schedules established by traditional TV companies. “We will come to see that linear TV declines every year for the next 20 years…and that internet TV rises every year for the next 20 years” Reed Hastings predicts. Shortly after the initial frenzy of the exponential success of the new service, Netflix announced a separation of the DVD rental and on-demand streaming, turning them into 2 different independent brands. However, the company halted all rebranding proceedings after much criticism and a later admission where Reed Hastings regretfully declares the whole idea was a mistake. In 2010, Netflix started offering streaming services to the international market, starting its expansion process with Canada, later to Latin America, in 2011; and Europe, in 2012. Currently, Netflix’s streaming services are available everywhere worldwide, with the exceptions of Mainland China, Syria, North Korea and the territory of Crimea. Reed Hastings, current CEO of Netflix. Not wanting to settle with a thriving streaming video business of more than 24.4 million subscribers worldwide, Netflix dived into unknown waters when in 2013 they premiered their first original TV series, the critically acclaimed political drama House Of Cards, earning a total of 8 nominations in the Primetime Emmy and the Golden Globe Awards that year, taking home 2 of them. Similar results were obtained with the company’s most popular shows, namely Orange Is The New Black, Stranger Things, Narcos, amongst many others. In 2016, Netflix released 126 original series or films, declaring that by 2019 half of its streaming content would be “Netflix Original”. Netflix’s forward thinking is not limited to business aspects only: In 2015, the company approved unlimited maternity and paternity leave for its employees, as well as unlimited vacations; proving to be very employee-conscious and a pioneering move on their part, that may have the potential to lead the way for other companies to follow on their steps.